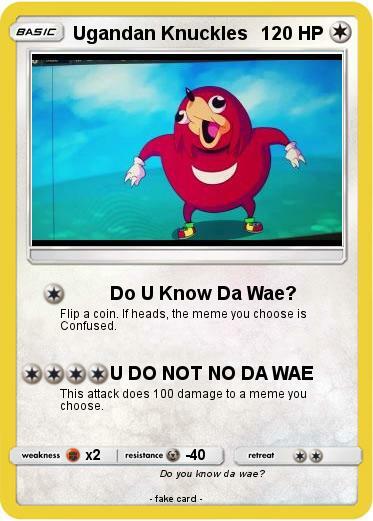 Attack 1 : Do U Know Da Wae? Flip a coin. If heads, the meme you choose is Confused. This attack does 100 damage to a meme you choose. Comments : Do you know da wae?